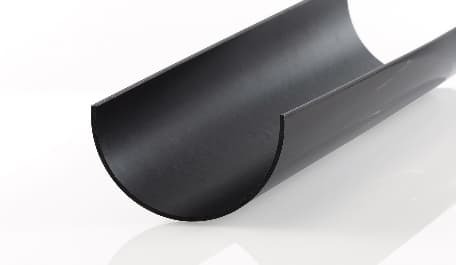 Terrain Rainwater Systems offer a range of three gutter profiles in robust PVC to help you achieve your performance and design objectives, no matter what the project. 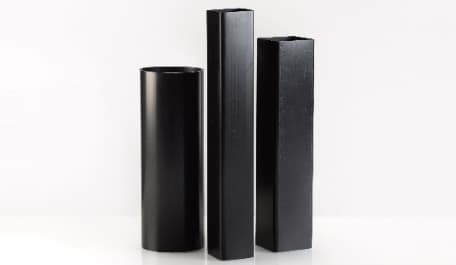 The Terrain brand was at the forefront of pioneering the development of PVC material for the manufacturing of drainage pipes and fittings over 50 years ago. Today, Polypipe continues to be at the forefront of this industry across the globe. We have an environmentally friendly manufacturing process and a product which is fully recyclable in accordance with International Standards. Our fully integrated systems of gutter and downpipe assemblies, includes all the fittings and accessories you need for easy installation in both residential and commercial applications. Crescent - Half Round gutter profile. This guttering system has been designed for houses, small commercial buildings and offices. It can drain roof areas of up to 122m2 with a single downpipe and has a capacity per outlet of up to 2.54 litres/sec. Corniche - Square gutter profile. 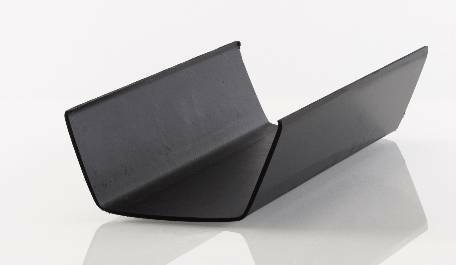 This popular, modern guttering system is suitable for houses and bungalows. It can drain roof areas of up to 149m2 with a single downpipe and has a capacity per outlet of up to 3.11 litres/sec. 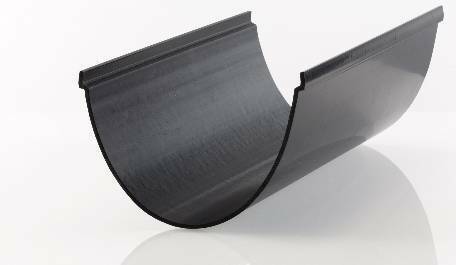 Rapidflow - Deep elliptical gutter profile. This high capacity guttering system suits all styles of property. It's ideal for large roof areas or areas with higher than normal rainfall. It can drain roof areas of up to 266m2 with a single downpipe and has a capacity per outlet of up to 5.53 litres/sec.